Michael Vakulenko is the strategy director at VisionMobile. E-commerce has become increasingly popular as a business model for the Internet of Things in the consumer space. A toothbrush example, as simple as it may sound, helps demonstrate that technology (software, connectivity or data), when viewed as a feature of a product, is hardly a game-changer for the product maker; opening the product to external innovation by developers can create a competitive advantage that is difficult to replicate; and, e-commerce companies see devices not as a source of profits, but as a part of the customer acquisition costs, serving as a vehicle for customer acquisition and engagement (Amazon Echo or Xiaomi phones are not much different, in this respect). Broadly speaking, a business model describes the rationale of how an organization creates, delivers and captures value. We add to that the question of how an organization creates a sustainable competitive advantage (a barrier to entry that is difficult to replicate by competitors). It’s simpler than it sounds. Let’s take Oral-B, a toothbrush maker, as an example. Oral-B creates value by improving dental health. The value is delivered through, well, a toothbrush. The value is captured by sales of toothbrushes through retail channels. The ability to put the product in front of as many shoppers as possible is of paramount importance. Therefore, access to the retail shelf-space becomes the key competitive advantage. Can we use technology to make a better toothbrush? Of course! Let’s make a Bluetooth-connected toothbrush that comes with a smartphone app. Now the “smart” toothbrush helps Oral-B do a better job in maintaining dental health by “focusing, tracking, motivating and sensing” (whatever that may mean). The toothbrush is smarter, but the business model isn’t. The connected product supposedly creates more value for consumers, but all the other elements of the business model remain the same. The value is still delivered through a toothbrush device, captured by sales through retail channels; access to the retail shelf-space is still the key competitive advantage. Not much business model innovation here. What’s next?… Well, let’s make an open toothbrush! 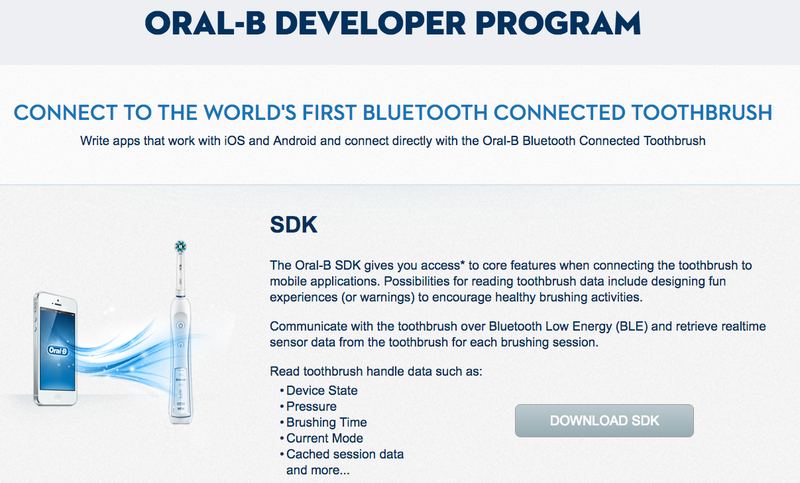 Developers will use a Software Development Kit (SDK) of the open toothbrush to make apps that extend the product. Sceptics, of course, will ask, “Who needs developers to extend the toothbrush?” But mothers of young kids will see a sea of opportunity here: Someone can make a game rewarding kids for doing a good job brushing their teeth, saving the mom the need to “hover over their kids telling them that a couple of brushes is not good enough” (actual quote from a Slack conversation). Now we are making progress with innovating the business model, too. 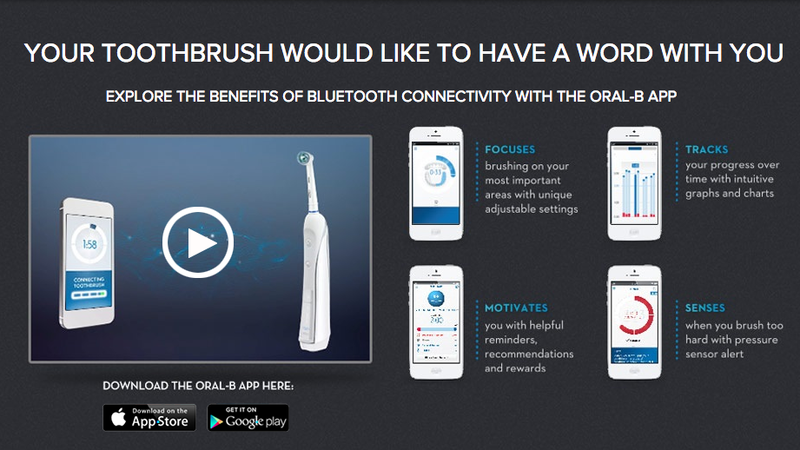 Not only do developers improve value creation, but value is delivered through apps working in concert with the connected toothbrush. Plus, the developer ecosystem formed around the Oral-B developer program creates competitive advantage that is difficult to replicate. However, the company must still make money by one-time sales of the “smart” toothbrush through retail channels. Can we take the business model even further? Meet Beam Dental. The Ohio-based company offers a connected toothbrush that comes with dental insurance and a subscription for the supply of floss, toothpaste and brush heads — all delivered to your doorstep every three months. The recurring service makes money outside the “toothbrush market” by going beyond one-time product sales. The toothbrush itself is part of the customer acquisition costs for the much more lucrative dental insurance and dental consumables market. 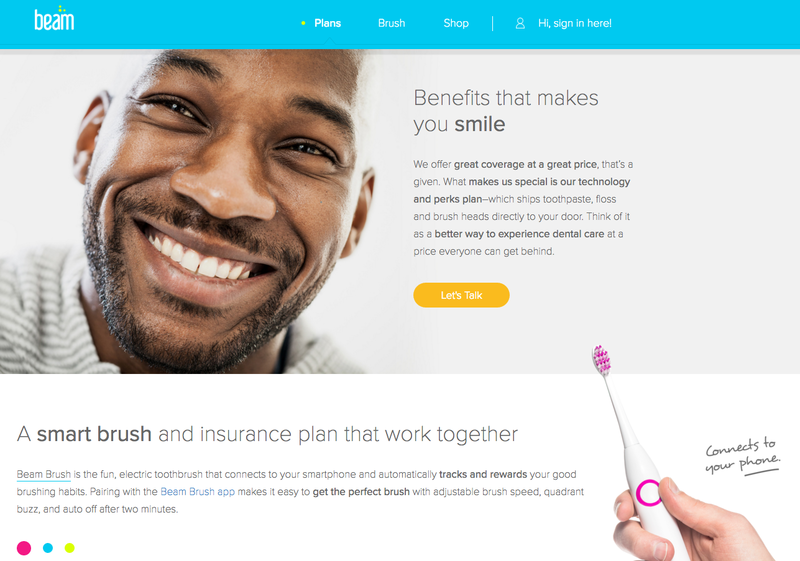 Beam completely reimagined the business model of a “connected toothbrush.” The value creation is much more comprehensive, and includes all aspects of dental health. Value is delivered through insurance and the re-supply service. Value is captured through making money in insurance and consumables. The toothbrush and the app are “top of the funnel” consumer touch points, allowing Beam to acquire new users and interact with their customers. Notably, Beam doesn’t really compete with toothbrush makers like Oral-B. Instead, the company competes in the dental insurance market, where it has decisive competitive advantage in the form of consumer data collected by the toothbrush and the app. This data helps the company optimize its insurance premiums and offer insurance at prices that are difficult to match for the traditional insurance companies. You can replace the toothbrush with almost any everyday object to see how adding connectivity, developers and data can help reimagine a business model.